Prime Time Sports Talk | Has Hanley Ramirez Turned Into a Liability? 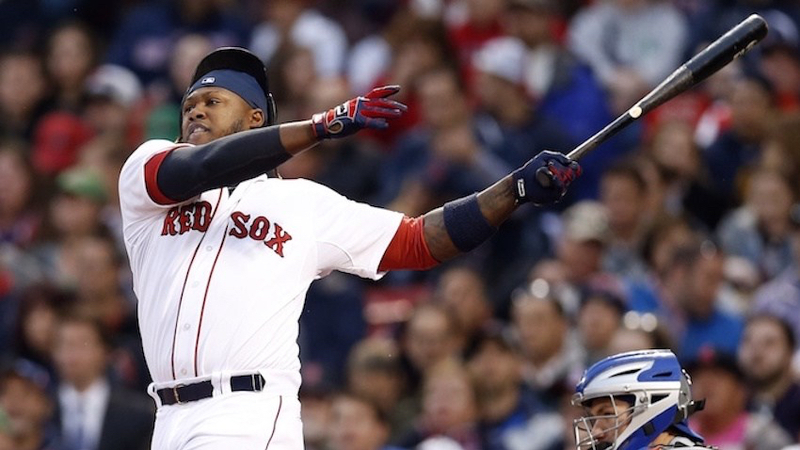 Has Hanley Ramirez Turned Into a Liability? Are you sick of Hanley Ramirez yet? If the answer is no, then what team are you watching on television because it sure isn’t the Boston Red Sox, that’s for sure. Ramirez, who is in the third season of a four-year, $88 million contract with a vesting option for 2019, has been nothing short of atrocious through 20 games thus far. For starters, he’s hitting .215, which is the second-lowest average on the team among starters to Sandy Leon (.191). Some great company to be in there, Hanley. Okay, moving on. Let’s take a look at how Ramirez is performing when the Red Sox need him the most – with ducks on the pond. With runners in scoring position, he is a whopping 4 for 19, yes 4 for 19 from your No. 4 hitter. There is certainty no doubt Ramirez benefited big time from hitting around the likes of David Ortiz. Upon further digging, Ramirez is hitting at a .278 clip when he is ahead in the count as opposed to .190 when he falls behind. So, why are we consistently seeing him take the first pitch? He’s fallen behind 0-1 and 0-2 14 times this season. After two straight strikes, he’s hitting .182. Not all has been negative at the plate for Ramirez, he did have vital two-run double in the Red Sox 4-3 win over the Pittsburgh Pirates in their makeup game. It’s eye-popping to see the 33-year-old is 3 for 7 first-pitch swinging, which includes a home run against the Baltimore Orioles. Let’s remember, in 2015 Ramirez belted 10 home runs and drove in 22 in the first month. Last season, he hit .361 at the Rogers Centre. In the Red Sox first trip up there in 2017, he went 1 for 14. It is also worth noting after spending last season at first base, a “sore shoulder” is all of a sudden making it so Ramirez can’t play the field at all. Really? Come on. It’s a true liability for the Red Sox, who could use the DH position here and there to give someone a breather, but can’t do so because he “can’t” play the field. So, rather than have a lineup against a lefty that can feature Chris Young in the lineup for Mitch Moreland with Ramirez at first, the Red Sox don’t have that option at all. Designated hitting is as much mental as it is physical and Ramirez has yet to adapt. It’s almost like playing the field kept him “in the game” for lack of a better term. The Red Sox, who are averaging 3.9 runs per game and have scored under two runs on seven different occasions, are going to struggle to score until something clicks with Ramirez. Maybe it’s being more aggressive in the count or perhaps a little bump down in the order.